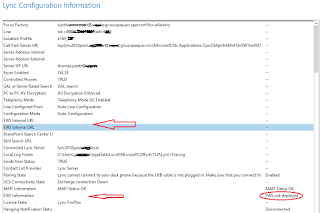 There is a lot of confusion in configuring Lync 2010 Remote Access Setup. 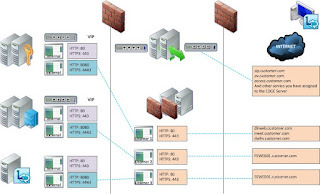 How do I setup the TMG (Rever Proxy) and how many Listener do i need? The answer is quite simple and stright forward. You need as many Listener as you have deployed and published Pools (Director/ Enterprise Pool) and Standard Server. I this case here, where a customer has a Best Practice Setup of 1x Director Pool, 1x EE Pool and 1x single Standard Server, he also deployed Load Balancer (either HLB, or DNS+HLB), you need the shown setup in TMG. TMG supports only a SINGLE, DEDICATED Target Server in each Listener. But remember, if you have a Load Blanacer, you must point to the HLB VIP addresse !